Il se murmure que vous allez chanter ensemble Siegfried. Siegfried ? Anna et moi envisageons de chanter ensemble Tristan und Isolde mais pas Siegfried. Ce n’est pas pour maintenant, juste un projet…Un projet énorme. Nous avons le temps. Déjà nous devons l’apprendre car la partition est gigantesque. Nous commencerons vraisemblablement par le 2e acte en version de concert. Nous avons besoin de temps. Anna va chanter Lohengrin cet été à Bayreuth. Je n’ai jamais chanté de répertoire allemand. Je ne suis pas aussi doué qu’Anna. Elle peut chanter merveilleusement dans n’importe quelle langue. J’ai besoin d’étudier davantage. Yusif says it’s a huge plan, not least because he’s never sung in German before. Is it April Fools yet? Or a bad joke? These two need to understand that T&I is not an Instagram popularity contest. Also that it is in German, a tongue not in their, well, vocabulary. My Russian teacher tells me that Russians find German easy. Putin speaks it well after his years as a spy there. Well, my Russian friends disagree. One of them lives in Germany since he’s 17 years old, he is married to a German lady, his children speak more German as Russian, but he nevertheless found German harder to learn as French and English. Besides we’re not talking about two hours of lalala. We’re talking T&I and around five hours and with Tristan about a role which had even tenors used and “exercised” with Wagner roles sweating. I do not wish even to imagine this. He will be her ruin. No one is going to pay $3000 to hear that. Oh, you don’t think so? Just wait. May the gods of opera protect us all (and them!) from this! It is difficult to imagine them doing this. 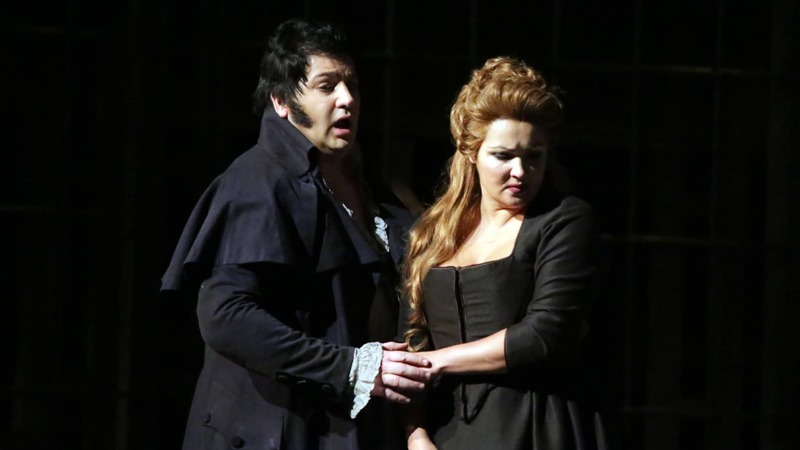 I thought Ana Netrebko was reluctant to sing any further Wagner roles. Yusif Eyvazov as Tristan seems particularly implausible. The audience may need some luck also, at least as far as he is concerned..
With Domingo as König Marke? such negativity all around. We should be pleased and inspired by artistic growth instead of sitting curmudgeonly on the sidelines casting shade upon all who dare to take on greatness. Sorry, but despite of Domingo’s statement that Eyevazov would be a great tenor, I find him average and reckon we’d never heard much about him without Anna. That’s the first big problem in this combination. And the second is for me Anna herself. Her voice is great, she’s known for being highly disciplined and a hard worker, but she’s also known for problems with the intonation and not exactly much talent for foreign languages. And then Isolde? I don’t know if that’s a good idea. Agreed! He is indeed a weak, maybe even bellow average singer who would never be performing in the big houses if it wasn’t for her. Artistic growth and greatness are one thing. Netrebko and Eyvazov thinking that they could possibly survive this piece with some dignity is something completely different. It is a joke. I will freely cast shade on all who dare take on foolhardiness. I didn’t realize that now we review performances before they happen. Probably done by would-be reviewers who are themselves unfettered by the slavery of talent. This performance doesn’t need to happen for anyone with a minimum knowledge of opera to know that it would be a complete disaster. And the Musical Darwin Award goes to . . . It’s a tie!